As the premier private fencing facility in West Los Angeles, Avant-Garde Fencers Club is the place where elite coaches and the saber community are based for ultimate training. Joining our club is simple: just choose a program that best fits your fencing needs. To refine your technique and improve your endurance add classes or private lessons taught by our fencing masters. AGFC members benefit of a variety of activities during the year including in house tournaments and special events. AGFC offers ongoing classes. New students are welcome to join anytime during the year. This introductory package is a prerequisite before enrolling in an ongoing class and standing private lessons. It includes one complimentary try out class and a series of individual private lessons and group classes. Personal rental protective gear is provided. To book a try out class please call or email at least 24 hs in advance. This class teaches the basics of the sport: etiquette, form and bouting rules. Personal fencing equipment required. In addition to group class at least one private lesson per week is needed. This class teaches the basics of the sport: etiquette, form and bouting rules. Personal fencing equipment required. In addition to group classes at least one private lesson per week is needed. The focus of the class is competitive fencing and it is recommended that students take at least two private lessons a week. Students will have the opportunity to compete in local, regional and scholastic tournaments. The junior program is designed for the competitive athlete. Students in this class range from national and international level to local competitors. The ultimate goal of the Junior Program graduate is to join NCAA or college fencing club teams. Fencers get to enjoy the sport and benefit from a great fitness workout. Beginners are welcome and will receive complimentary protective gear for up to three months. Family members, couples or friends who share a passion for fencing will find this class as fun time to spend together. On the last Wednesday of each month the class will host an amateur tournament starting at 8:30 pm. Fencing is an individual sport that requires one on one instructions. It can be learned in a group class setting, where students practice challenging each other. But in order to refine and sharpen the fencer’s technical abilities, private lessons are strongly encouraged. At Avant-Garde Fencers Club coaches accord fencers their complete attention in 20 minutes private lessons working in perfecting handwork, footwork and agility skills. AGFC members may schedule weekly reoccurring private lessons and qualify for prepaid private lesson discounts. Cancellation Policy: A reserved private lesson must be cancelled the night before the appointment in order to be credited. Warm-up Tip: Arrive early to give yourself ample time to dress, stretch and warm up before your private lesson. It is important to prepare your mind and body in order to optimize your private lesson. Post-workout assisted stretching routines improve flexibility and performance. As part of a cool down routine assisted stretching should be used after each athletic performance. 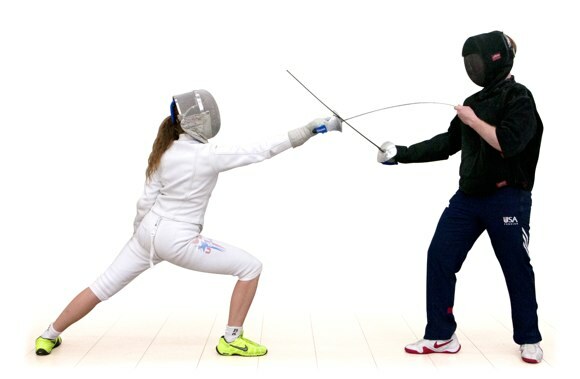 At AGFC fencers can use stretching with the help of a personal trainer. A 20 minutes individual session involves a slow, gradual and controlled elongation of the muscle through the full range of motion. Flexibility prevents injuries, promotes relaxation and keeps the body feeling loose and agile. AGFC members may schedule weekly reoccurring sessions and qualify for prepaid sessions discount. Allows discount for: family members, prepaid lessons, tournaments and camps. All of the monthly benefits plus boutique discount. Benefits of all the services plus VIP pass to special events.